Conrad von Hotzendorff was born in 1852. A close friend of Archduke Franz Ferdinand, in 1906 he became chief of staff to the Austro-Hungarian Army. Hotzendorff was a strong supporter of an aggressive foreign policy and after favoured surprise attacks on Serbia and Italy. Hotzendorff's demands for an invasion of Italy in 1911 led to his dismissal. However, he was recalled in December 1912 and was in place to demand a declaration of war on Serbia in July 1914. 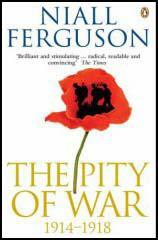 On the outbreak of the First World War, his early campaigns against the Russia were unsuccessful. One critic has claimed that his "ground operations was characterized by optimism, imagination and boldness, seldom qualified by military realities. Hotzendorff convinced Erich von Falkenhayn to organize the Central Powers invasion of Serbia. However, he only played a minor role in this campaign. On the death of Franz Josef on 21st November, 1916, Karl I became the Emperor of Austria and King of Hungary. Unlike his chief of staff Karl favoured a negotiated peace settlement. He also wanted more personal control over the Austro-Hungarian forces and in March 1917 he sacked Hotzendorff and replaced him with Arz von Straussenberg. 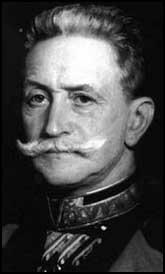 Hotzendorff accepted command of the Austro-Hungarian Army in Italy but after further defeats he was recalled from the front-line and retired. Conrad von Hotzendorff died in 1925. From 26 April to 6 May 1917 flying over France, Captain Ball took part in 26 combats in the course of which he destroyed 11 hostile aircraft, brought down two out of control and forced several others to land. Flying alone, on one occasion he fought six hostile machines, twice he fought five and once four. When leading two other British planes he attacked an enemy formation of eight - on each of these occasions he brought down at least one enemy plane, and several times his plane was badly damaged. On returning with a damaged plane he had always to be restrained from immediately going out in another.